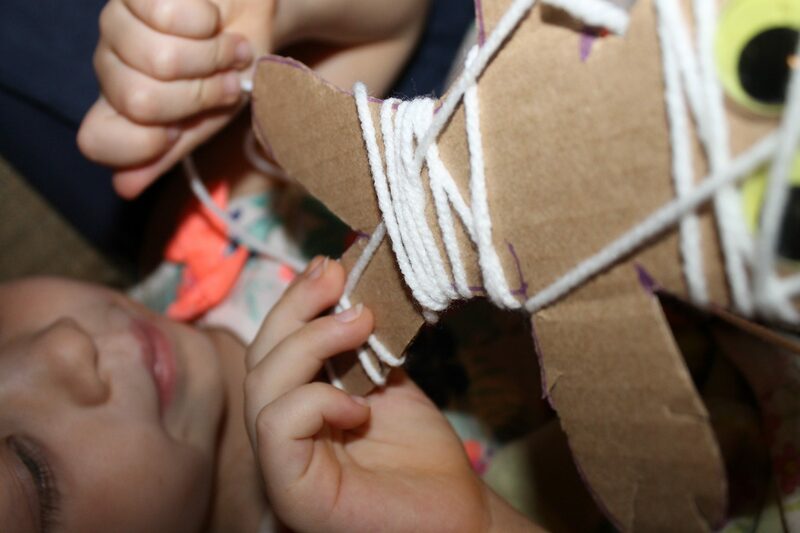 Yarn is a favorite craft & play material in our house. My daughter loves yarn. She will sometimes unravel it & drag it through our house and wrap it around chairs, tables and other furniture. She wraps it around sticks, markers & anything else that she can get her hands on, so it is probably no surprise that yarn wrapped crafts are a favorite activity of ours. 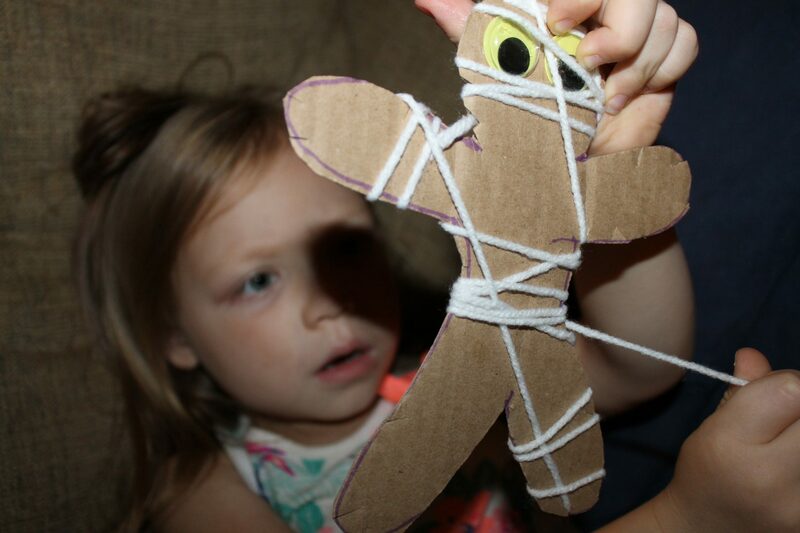 My daughter has fallen in love with all things Egyptian after watching a documentary a couple of months back, so a mummy craft seemed like a perfect idea. 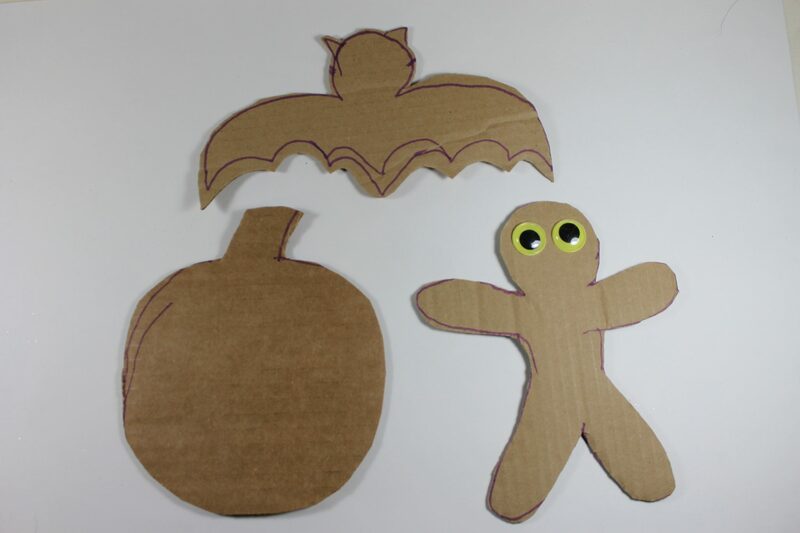 I cut out a simple cardboard man to wrap for our mummy & then couldn’t stop there, so we cut out a bat & a pumpkin as well. I cut little notches around each shape for easier wrapping. 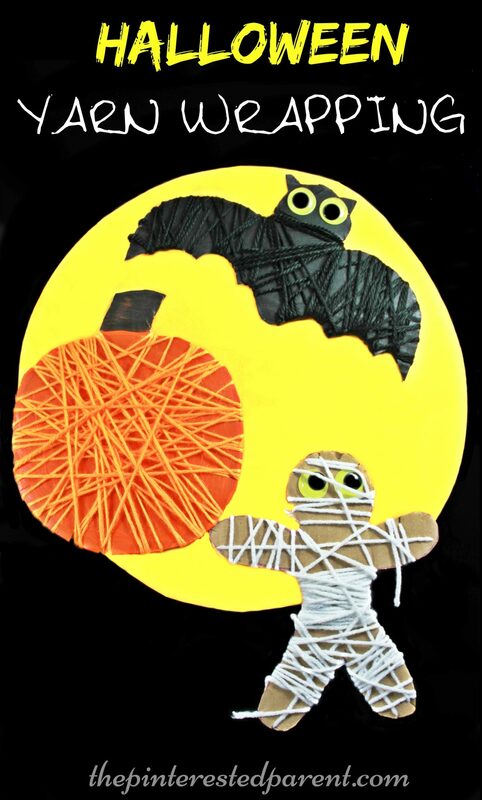 We painted the bat & pumpkin and set them aside to dry. We left the mummy unpainted. 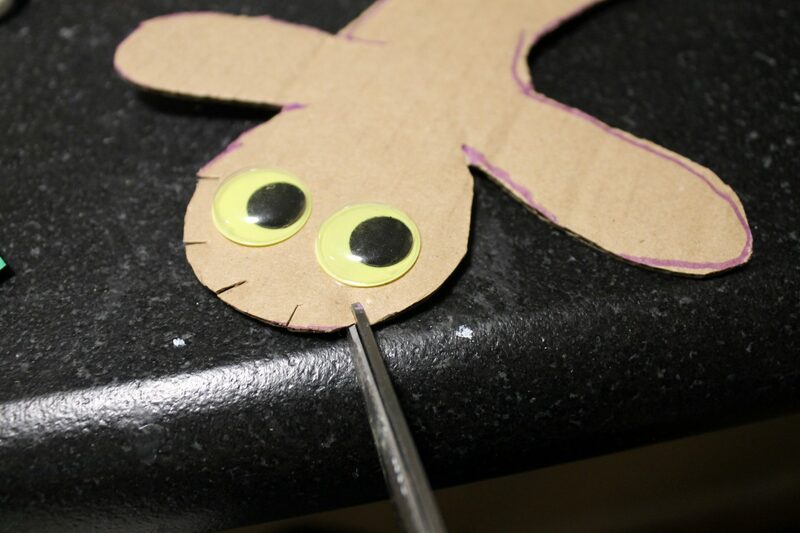 My daughter glued on the googly eyes and grabbed the cardboard shape and some yarn & settled into the couch and started wrapping. 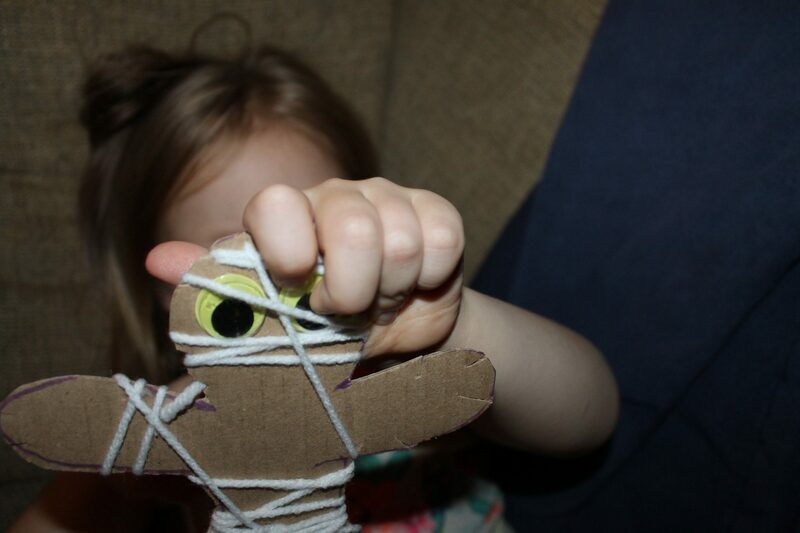 She sat comfortably & worked her yarn around the mummy shape, all while discussing some of her mummy knowledge with me. 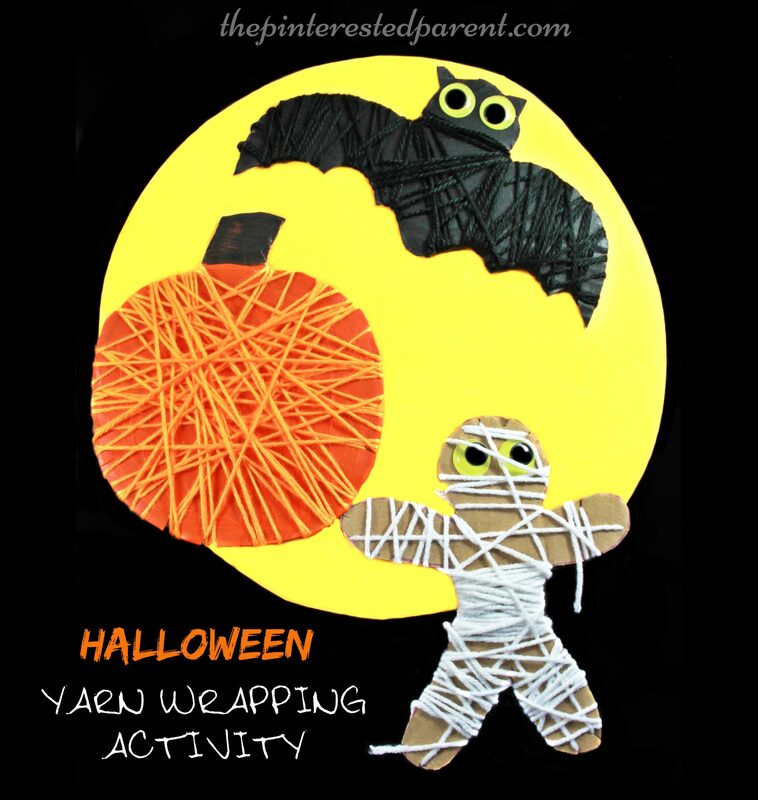 She concentrated on her wrapping, being very careful to keep his eyes uncovered so that her mummy could see. After the paint dried, we wrapped our other friends too. After the shapes were all wrapped, she enjoyed playing with them too. It turns out that the mummy and the bat are really good friends.